Texas ranching traces its roots to 1690 when Spain introduced cattle to Texas. Cowboys soon developed tools and techniques that were adapted for working cattle. 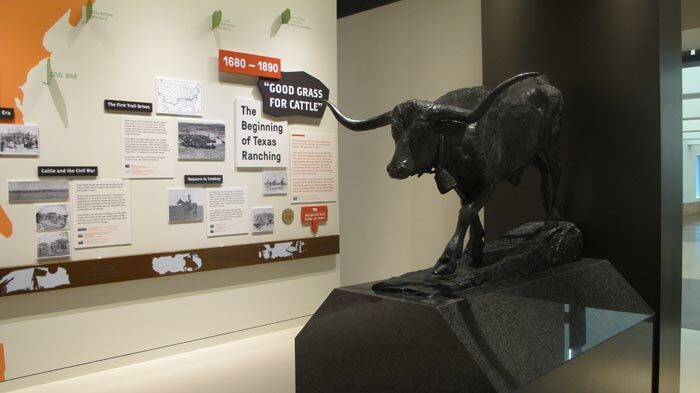 This gallery traces the development of the Texas cattle industry beginning with the “vaqueros,” the first trail drives of the 1850s, and the importance of cattle to Texas during and after the Civil War. With the era of trail drives, beef was introduced to new markets across the country. As the cattle industry grew into a booming business, expansive ranches emerged and the Texas and Southwestern Cattle Raisers Association was formed to protect them. With the invention of barbed wire, rangelands were enclosed, the cattle drives ended, and a new way of moving cattle to emerging markets was introduced. 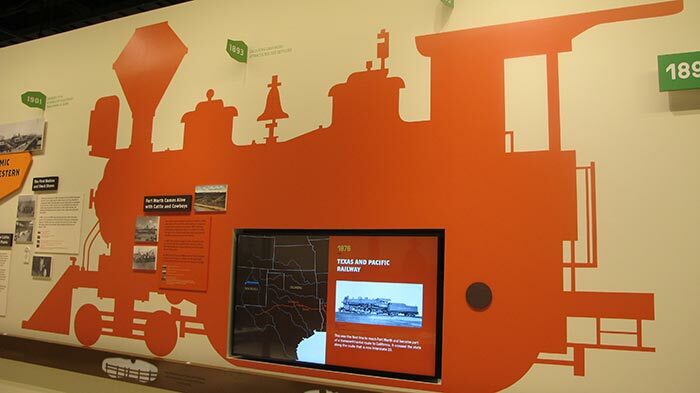 Railroads quickly transformed cities like Fort Worth into bustling cattle markets and meat packing centers, helping to boost prices for Southwestern cattle. By the late 1890s, stock shows and rodeos were introduced to help promote sales and establish a venue for cattle raisers to better understand the value of breeding and exhibiting stock to potential buyers. Additionally, cattle theft became a greater issue, branding was introduced as a way cattle are identified to a ranch, and brand inspectors looked out for rustlers. Finally, ranching modernized with the introduction of tools, trailers and large trucks to haul cattle to distant places. Innovation and technology has defined the modern era of the beef industry. Technology helped cattle raisers fight diseases such as the screwworm and provided new tools to help ranchers be stewards of the land and improve the genetics of livestock. Today, cattle raisers take full advantage of digital communications to make quicker and more efficient decisions about their herds and rangelands. As the popularity of livestock shows has grown, so also have organizations including FFA and 4-H. Consumers can feel good about the nutritional value of lean beef produced by today’s ranchers and benefit from the hundreds of edible, non-edible, and medicinal byproducts of cattle. Texas and Southwestern Cattle Raisers Association remains a strong advocate representing more than 18,000 ranching families and continues to work to stop cattle rustling through its law enforcement staff. 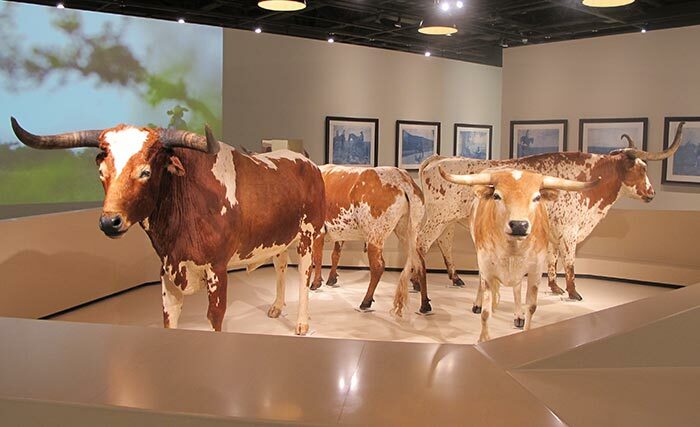 The central gallery is where visitors can see four majestic longhorns in a corral. You will learn more about ranching families in Texas and the Southwest, the importance of stewardship of land, livestock, water and wildlife, and about population as compared with land. 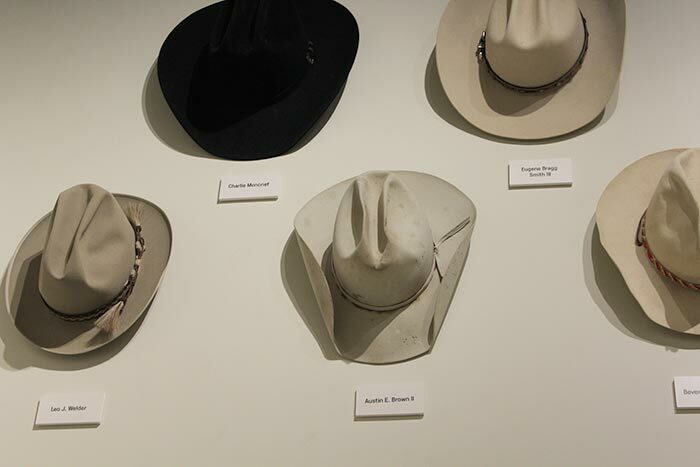 The gallery features saddles dated from the 1850s to the 1920s from the magnificent Ken Spain Saddle collection. 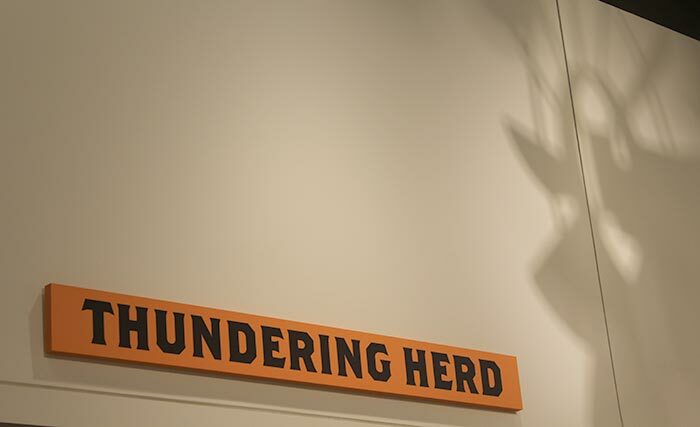 In this area the Museum also displays a range of artwork highlighting the life, work, and land of Texas and Southwestern cattle raisers. 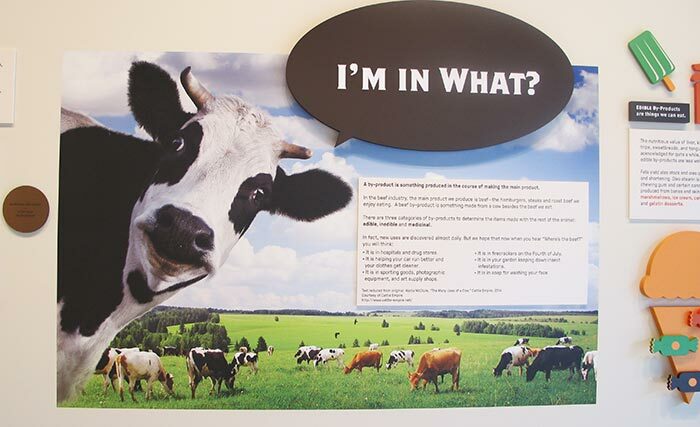 The Hall of Great Cattle introduces visitors to cattle breeds in a distinct way. “Portraits” of ten breeds beautifully painted and displayed in baroque frames greet visitors as they walk through the gallery. Each portrait is animated which gives the visitor a special surprise as they move and talk. The 90-seat Noble Planetarium invites you to sit and watch a brief history on the diversity of cattle raisers. See and hear from cowboys huddled around campfires, vaqueros recounting the first livestock to arrive from Spain into the New World, and Native Americans who hunted bison. Thundering Herd showtimes in the Noble Planetarium may vary. Please check the updated schedules daily. 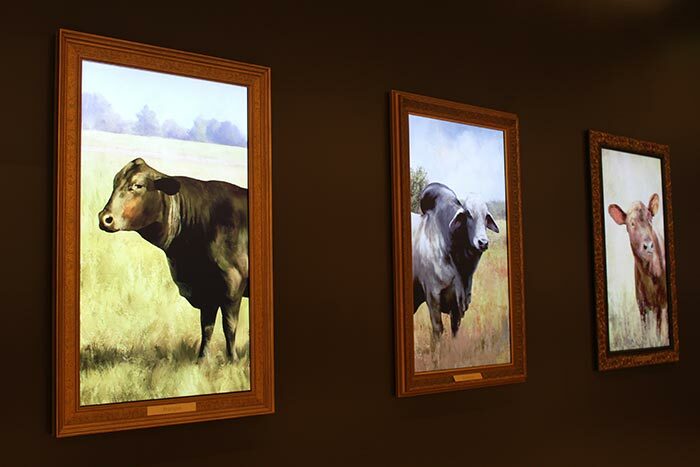 The Don C. King Legacy Room pays tribute to great cattle raisers, both past and present. Artifacts of these individuals are housed in pull-out drawers in specially designed cherry wood cabinets. 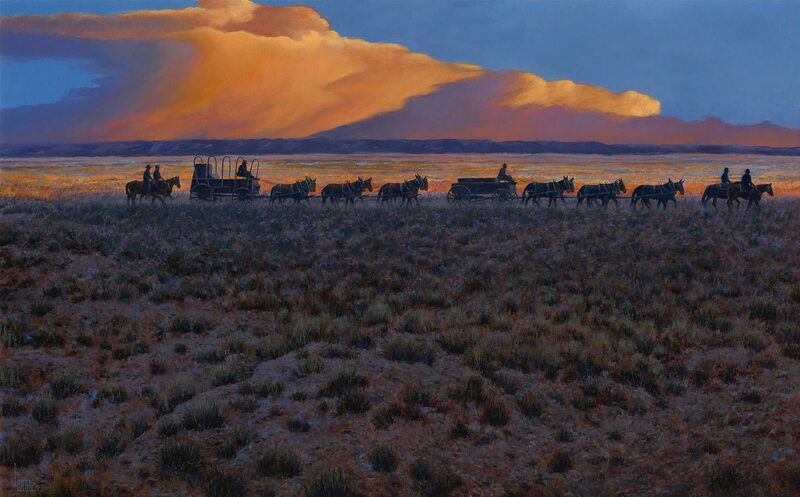 The Jane and John Justin Gallery will feature The Life & Times of Charles Goodnight: Art Exhibition by Lee Cable from November 16, 2018 through April 22, 2019. This exhibition is a unique, narrative fine art exhibit depicting highlights in the life of historical Texas Icon, Charles Goodnight. The exhibit includes 12 beautifully framed original oil paintings depicting highlights of Goodnight’s life through a balance of the artist’s historical research and artistic license.